In terms of driving distance, the Philadelphia Union’s closest Major League Soccer rivals are the New York Red Bulls. But in their first six matches between the two squads in the Garden State, the separation on the field seemed to be much more than the 106 miles separating the two franchises; Philadelphia hadn’t won a game at Red Bull Arena since the team’s inception in 2010. After tonight, consider that Jersey jinx ancient history. Vincent Noguiera and substitute C.J. Sapong scored within five minutes of each other in the second half as the Union defeated the Red Bulls 2-0, their first ever win in Harrison after five losses and a draw in six prior visits. Philadelphia’s tallies came on the back of a defense that withstood the Red Bulls having almost two-thirds of the possession in the first half and recording eight more shots than the Union (3-7-3) during the contest. New York (4-2-5) controlled the game offensively in the first half despite being held scoreless, possessing the ball 65 percent of the time. 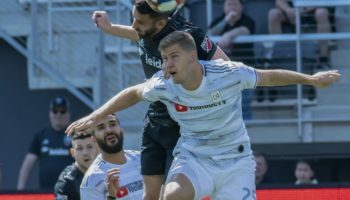 Included in their eight attempts on goal in the first 45 minutes were two shots – one by midfielder Felipe and another by forward Mike Grella – that hit off the left and right uprights respectively. On the other end, goalkeeper Luis Robles was not tested much in that first half, but recorded a fine save in the 14th minute when Union midfielder Cristian Maidana broke free and had a clear shot on goal off of a Red Bulls turnover forced by forward Conor Casey. However, the tide quickly turned in favor of the Union in the second half. Philadelphia got on the board when the midfielder Nogueira back-heeled a pass from Maidana past Robles and into the back of the net in the 57th minute. Building upon that momentum, the Union continued to create odd-man rushes, and, five minutes after taking the lead, Sapong doubled the advantage with his second goal of the campaign. Sapong had come in earlier in the half to replace Casey, who left the game with a quad injury. Sapong’s goal helped an already shorthanded Union squad, playing without suspended first-choice striker Maurice Edu due to yellow card accumulation, notch their second straight win. 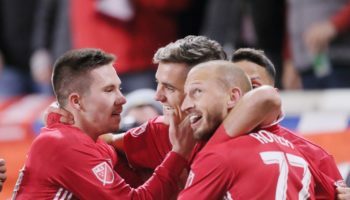 With the win, Philadelphia now has recorded its first winning streak of the season, defeating the Red Bulls after scoring a dramatic second-half stoppage time winner in last week’s 1-0 home victory last weekend over first-place D.C. United. The Union hope to have turned around what has been a topsy-turvy month of May. 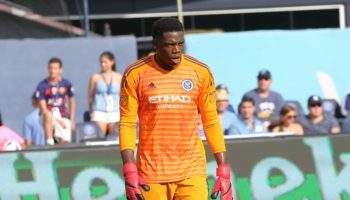 On May 1, Sapong was arrested and charged with driving under the influence, and was ineligible to play until the completion of an assessment by Major League Soccer’s Substance Abuse and Behavioral Health Program. 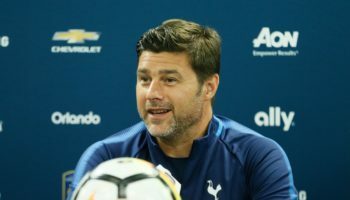 On the pitch, the team had lost four games in a row while being shut out in two of those matches. 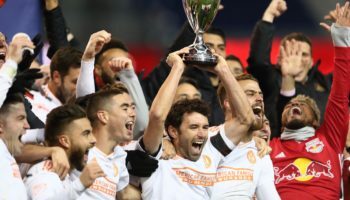 But with back to back shutouts of their own over two of the top teams in the East in D.C and New York, the Union seem to be on the right track.